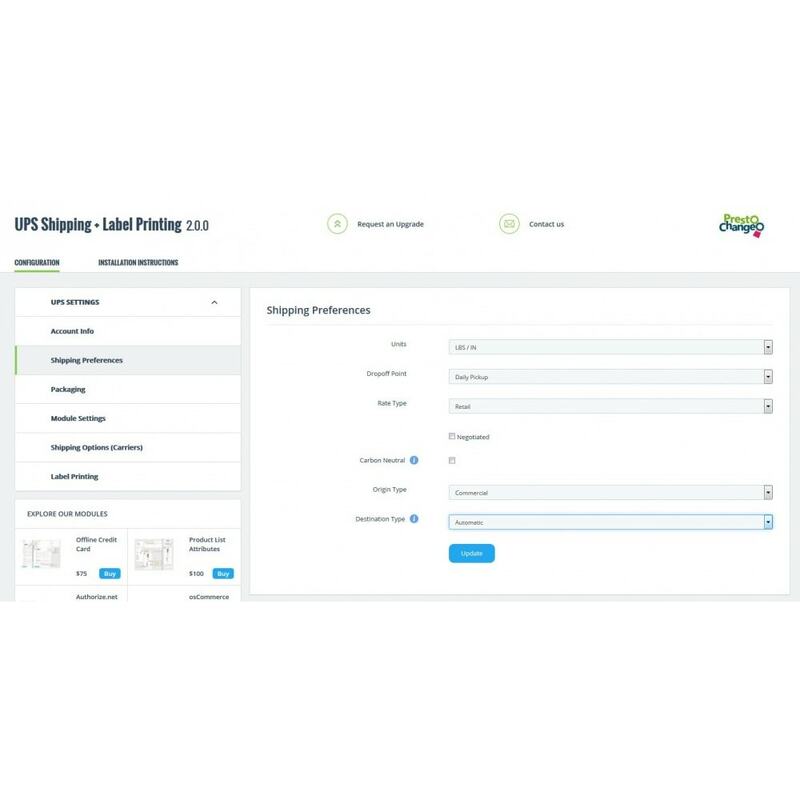 The most popular UPS shipping module for PrestaShop that offers label printing, a custom boxing algorithm, shipping rate preview (no login needed), and more, you can be sure that your customers always pay just the right amount for delivery and you'll save enough time to focus on what really matters. 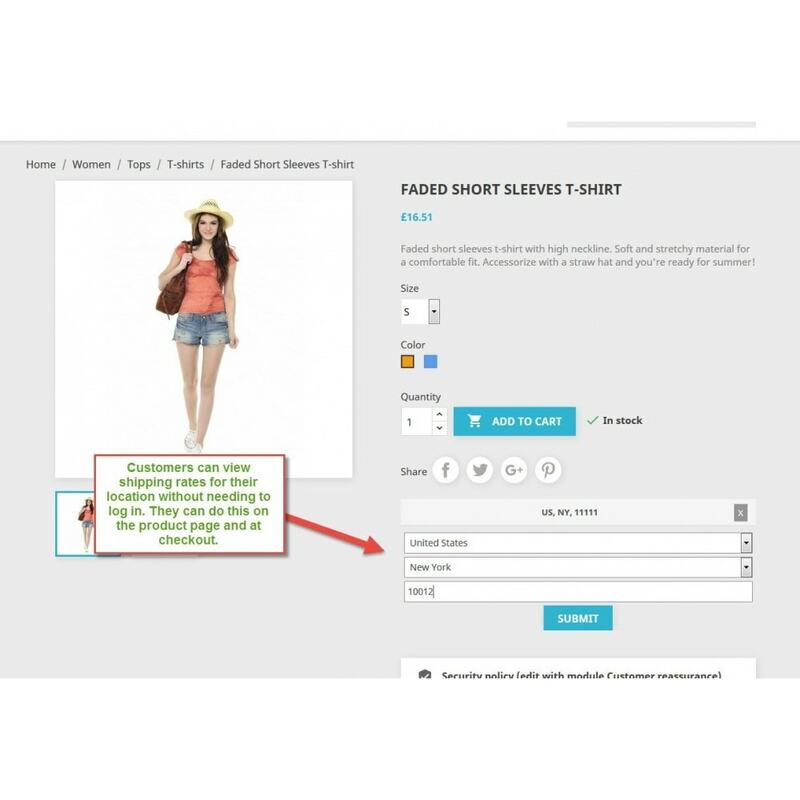 Display UPS shipping rates on the product page without requiring the customer to log-in. Get real time shipping rates directly from the UPS systems based on your company's UPS account. 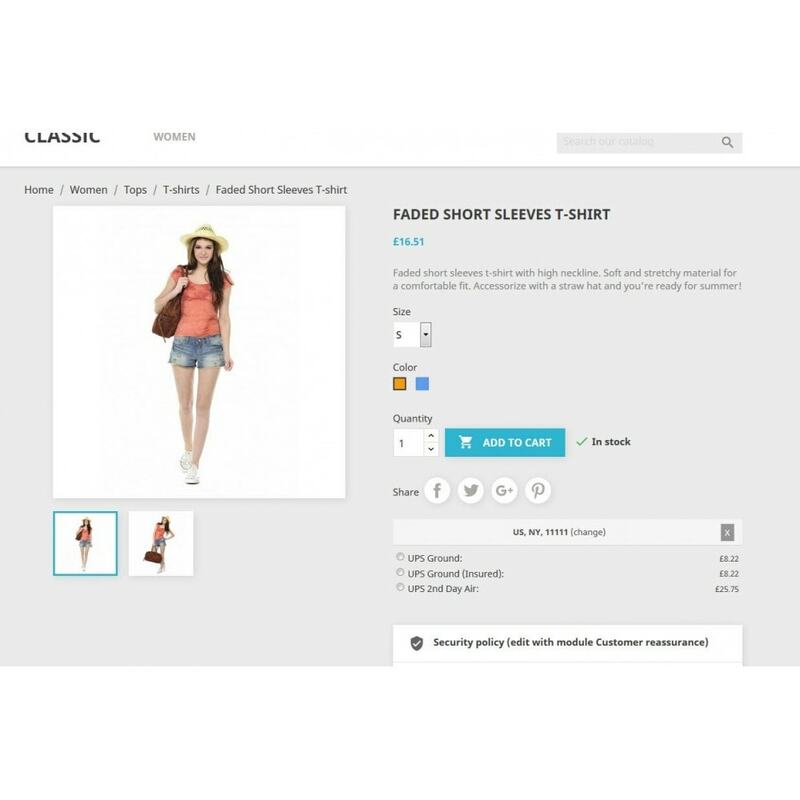 Option to set free shipping by Product, Category, Manufacturer or Supplier. 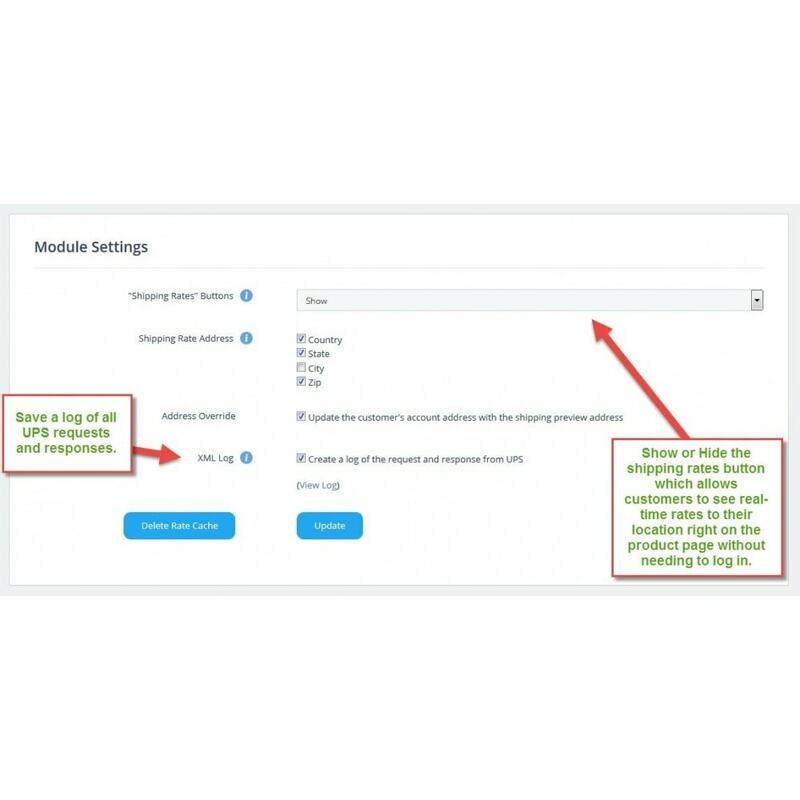 All UPS Services and package types are supported, and you can select which shipping options should be available per Zone. Smart caching system is used for maximum speed. 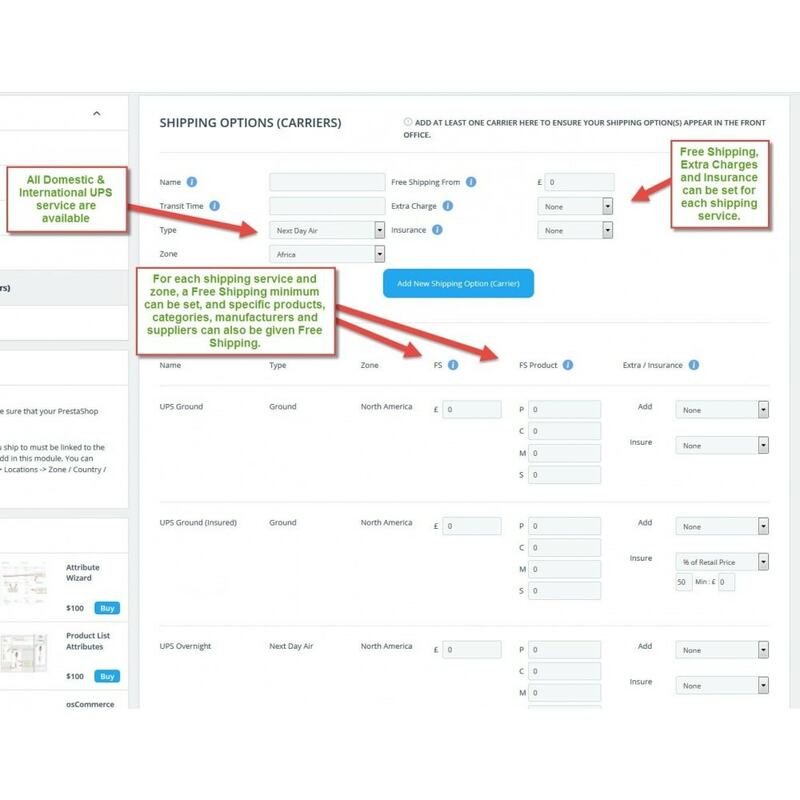 With options to set free shipping minimums by Carrier/Zone, and free shipping by product, category, manufacturer or supplier, your customers will love you. 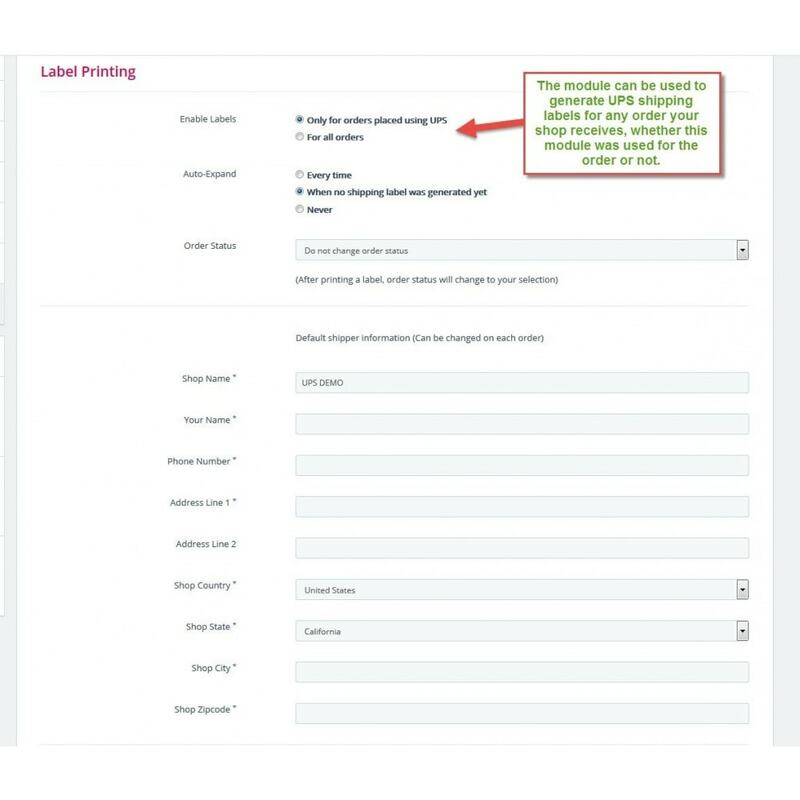 A shipping rates preview on product pages that don't require a login means they'll really love you. 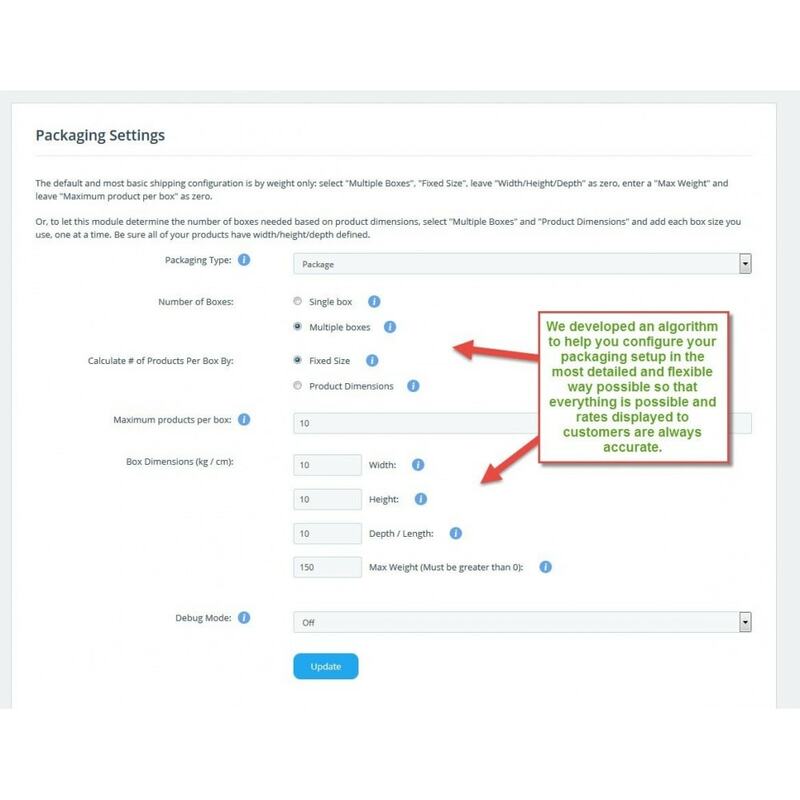 A custom boxing algorithm that ensures they always pay just the right amount know matter what they purchase, means they'll keep coming back for order after order. The Module requires CURL (a Standard PHP extension found on almost all servers). Installation is easy. Install via the back office Modules tab, or upload the module folder directly to your /modules directory via FTP.